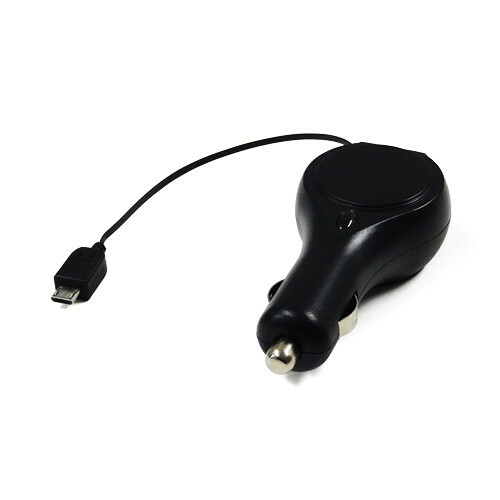 The black Tera Grand USB Car Charger with Micro USB Retractable Cable reduces wire clutter while charging your smartphone. It also allows you to simultaneously charge any USB device with its one USB port. Box Dimensions (LxWxH) 8.1 x 4.0 x 1.3"